Showcasing its multi-environment versatility, three colorways of PenCott™ were submitted for clothing and a fourth colorway was specifically developed for individual and tactical equipment. A new style of combat uniform was also proposed. The exact process through which the UCP pattern was developed and chosen remains something of a mystery, but what is clear is that the Army re-used the same pattern geometry as MARPAT and CADPAT (and now the Navy’s new NWU as well). What’s also clear is that with the elimination of black, or even just a dark tone, the “texture” of the CADPAT/MARPAT pattern was lost, with the result that that UCP pattern is inferior in terms of “disruption” than either of its predecessors. The 3 colors chosen for UCP also leave something to be desired – whilst “desert tan” is an acceptable color for an arid environment, and “urban gray” is common in urban environments, the so-called “foliage green” is really more of a sage green color that is more suitable in semi-arid environments. But whilst common-sense alone would dictate that there is no such thing as a true “universal” camouflage scheme, the US Army obviously believed that simply mixing these three colors together would produce a single all-terrain pattern that was good enough to be universally applied to all uniforms and equipment issued to every soldier in the Army – beginning with the Army Combat Uniform (ACU) in 2005. However, experience in Iraq and Afghanistan (and elsewhere) has proven beyond any shadow of doubt that the currently issued Universal Camouflage Pattern (UCP) used on the ACU and ECWCS uniforms and personal equipment is significantly less effective in most terrains than other options, and also less effective than many other countries’ camouflage patterns. Following intervention from the US Congress, legislation was passed in 2009 that required the Army to conduct a program to select a new camouflage for use in Afghanistan, and to replace UCP as the standard Army camouflage pattern. This led to the selection of MultiCam as the camouflage of choice for use in Afghanistan, and the decision to conduct an extensive research and development effort to come up with a replacement for UCP. So, in July 2010 the US Army’s Program Executive Office Soldier (PEO-Soldier) issued a Request For Information (RFI) asking industry to submit camouflage patterns that the Army could consider for its next-generation “Family of Camouflage” – thereby effectively nailing the coffin lid shut on the “Universal Camouflage Pattern”. 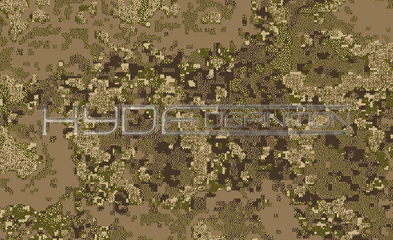 The RFI specifically stipulated that patterns should have a common design geometry with adaptations colored for “woodland”, “desert” and “transitional” environments for clothing – with a fourth multi-terrain pattern adapted for use on web gear, rucksacks, armoured vests and other personal equipment. NB: The images shown above are conceptual simulations and are based on the KA-03X from Steinadler Versand. They are intended for concept illustration only and are not intended to be construed as the final uniform design (which has yet to be finalised). 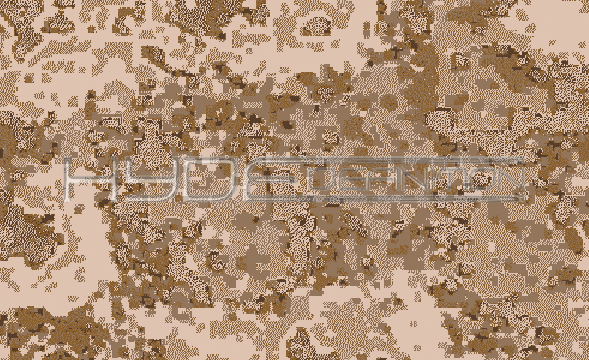 At Hyde Definition Ltd. we recognised the issues with existing camouflage patterns several years ago, and founded the company in 2008 with the express purpose of designing and marketing unique, hybrid, digital camouflage patterns. First launched in late 2008, the PenCott™ Multi-Environment Camouflage family uses complex, hybrid, fractal geometry to more effectively disguise the wearer - the result being that the wearer disappears into the textures and background "noise" of the environment. The PenCott pattern works by dithering the different contrasting colors and tones into and against one another to give the illusion of several more colors, and to create a combination of blurred and sharp edges and shapes. Complex patterns like this are harder for the human eye to process, and recognisable shapes such as human limbs, or the lines of pockets and seams, become more difficult to make out. The PenCott pattern is multi-directional, multi-scalar and includes both a micro-pattern and a macro-pattern for close range concealment and long range disruption. PenCott also includes an innovative midi-pattern (middle range), and false edges at the high-difference boundaries of the dark patches, to further confuse the eye. Moreover, the illusion of depth is created by the juxtaposition of high contrast shades with light tones - which, through an optical illusion due to the way humans perceive color, appear to recede or sit behind the warmer mid tones in the pattern. Through its radical combination of innovative features, PenCott provides unbeaten camouflage and concealment - whether the wearer is four meters away, or 400. We therefore believed that the requirements of the PEO-Soldier RFI played directly to the core strengths of PenCott. In fact, we had already researched, developed and released the required “woodland”, “desert” and “transitional” variations of the PenCott Multi-Environment Camouflage Pattern. However, in addition to the three colorways for uniforms, the US Army also asked for a fourth version that could be used for web gear and personal equipment, and which could work as a “universal” pattern in conjunction with any of the uniform patterns. In this way, the Army hopes to be able to minimise disruption and cost in the supply chain by only needing to issue one set of web gear / equipment. The thinking from the US Army is that the new pattern for equipment is designed to work in conjunction with the different uniform camouflage patterns – whilst the uniform patterns provide the effective terrain-matching camouflage. 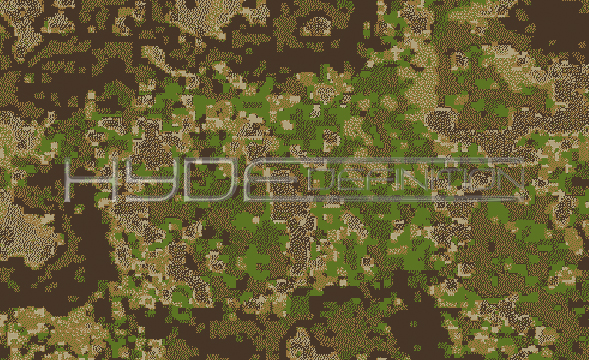 To meet this requirement challenges, we developed a new colorway called PenCott-TEC™ (“Tactical Equipment Camouflage”). Based on the same design geometry as the rest of the PenCott family of camo, PenCott-TEC matches key colors from the “GreenZone”, “Badlands” and “Sandstorm” color palettes in such a way that it combines well with all three patterns – and enhances rather than hinders their effectiveness. This combination will also provide the best compromise between having the perfect camouflage for each terrain type, versus the cost and complexity of having to issue complete sets of individual equipment in all three patterns. Although the colorway might also work well in certain environments as a uniform pattern as well, we believe – from our analysis and simulations to-date – that it perfectly addresses the Army’s specified requirement as a colorway that works effectively with the three uniform colorways. In addition to the new colorway, we also submitted to PEO-Soldier the recommendation that the uniform patterns be printed on strong, lightweight, tear, infra-red and flame resistant material made up into a field/combat-use oriented Reversible-Camouflage-Over-Garment (RECOG™) to replace or supplement the current ACU. Although this was not part of the official RFI, we included this recommendation because we feel that the current uniform design is sub-optimal as a field/combat garment and that a loose-fitting over-suit style would optimise the superior camouflage and concealment properties of the PenCott pattern. NB: The images shown above are conceptual simulations and are based on the the Gorka uniform from Splav. They are intended for concept illustration only and are not intended to be construed as the final uniform design (which has yet to be finalised). The fundamental flaw of trying to combine a garrison/utility uniform and a combat uniform in one design is that the uniform will always be a compromise – and the current ACU is still more suitable as a duty uniform than it is as a combat uniform. This fact appears to have been clearly proven through experience in Iraq and Afghanistan, and has begun to be addressed through the development of the Army Combat Shirt and the Army Combat Pants. Beyond the issues described above, another problem with the standard uniform approach is its lack of flexibility. By this we mean that deriving the soldier’s camouflage from his/her basic uniform, upon which a multitude of personal gear and weaponry is then loaded, is an inside-out way of doing things, and means that the soldier is unable to easily adapt his/her camouflage profile to suit the changing requirements of the operational environment. Perhaps nowhere has this lack of flexibility been more clearly seen than in recent deployments, where soldiers often work through verdant, semi-arid and arid terrain during the course of a single operation. Having the ability to easily adapt their personal camouflage profile to suit the changing terrain – i.e., not having to stop, strip off and get re-dressed – would be a noticeable enhancement to operational success, and no doubt also provide a positive morale boosting effect for the individual soldier as well. We therefore came to the conclusion that the solution is to provide a highly breathable, lightweight, loose-fitting (i.e., “baggy”), two-piece over-suit consisting of trousers and a hooded anorak-type top. The Multi-Environment Camouflage System™ (MECS™) we have proposed is an improved and technologically-advanced variation of the types of camouflaged over-garments previously mentioned and is based on a two-part system of a Reversible Camouflage Over-Garment™ (RECOG™) and a basic Universal Duty Uniform™ (UDU™). Our proposed Reversible Camouflage Over-Garment™ (RECOG™) would be made from a lightweight, highly-breathable material that would enable it to meet the key requirements of concealment and comfort, and would feature reversible combinations of the different uniform colorations of the PenCott Multi-Environment Camouflage family of patterns. Our proposed Universal Duty Uniform™ (UDU) is intended to be the standard uniform used in stand-alone mode for garrison, utility and general fatigue and admin duties, and as the under-garment (in conjunction with the RECOG™) for field and combat operations. The UDU™ would be available in two weights (“light” for summer / hot climates and “heavy” for winter / cold climates use) and in two colors (Olive Green for verdant environments and Coyote Brown for arid/semi-arid environments). Alternatively, the current UCP-ACU could be retained as the basic duty uniform with the RECOG issued to troops who have need of a superior camouflage for field / peace-keeping / war-fighting operations. Note: All the images on this page are conceptual simulations and are intended only as conceptual illustrations and should not be construed as depicting final uniform design (which has yet to be finalised).